Jackson, MS – October 1, 2018 – The Women’s Foundation of Mississippi, a public grantmaking foundation focused on improving conditions for women and girls across the state, announced grant awards totaling $285,000 for eleven Mississippi-based nonprofit agencies and programs. The investments fall in two of our priority areas identified by the Foundation: Access to Opportunity through a Two-Generation Approach and Teen Pregnancy Prevention & Reproductive Health Education. The grants range from $5,000 to $40,000 and run between one and two years in length. Originally a fund housed at the Community Foundation of Greater Jackson, the Women’s Foundation has been an independent 501(c)(3) since 2008. In that time, the Foundation has awarded over $3.8 Million in grants benefitting nonprofits, programs, and educational institutions across Mississippi. 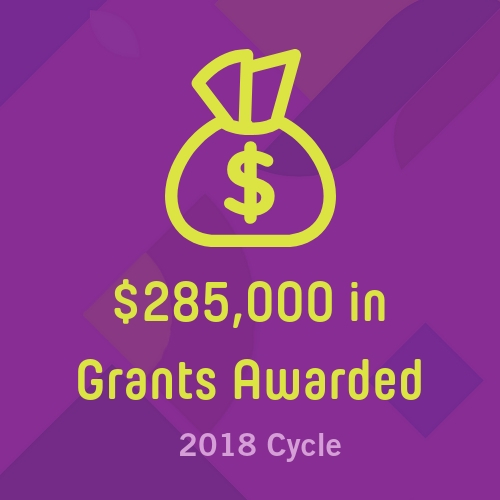 In addition to the new awards granted in this cycle, the Foundation distributed $225,000 earlier this year, bringing the total 2018 investment to $510,000. Learn more about the Women’s Foundation of Mississippi by visiting our website at www.womensfoundationms.org. © 2017 The Women’s Foundation of Mississippi. All rights reserved.